Three of my four grandparents were Ukrainian Jews who immigrated to the US around the turn of the last century. The other one was born in the US, but her parents were also Jews, probably from Lithuania, who immigrated a bit before the turn of the century. They came for the same reasons as the rest of the many thousands who emigrated at that time from Eastern Europe: persecution of Jews was increasing, with regular attacks by soldiers or civilians on Jewish villages. That, combined with the lure of a better life in the US, led my ancestors to leave. Many of these immigrants arrived here in New York City, and flowed into the growing Jewish community on the Lower East Side of Manhattan. Their neighborhood became the center of a thriving garment industry starting from the mid-1800’s. This isn’t what my grandparents did; some of them sailed into Boston, rather than the more common arrival point of Ellis Island in New York, and the others went to New Haven, Connecticut, after arrival. Yesterday, my sister, her kids and I went to visit the Tenement Museum on the Lower East Side here in New York City. This is a tremendously interesting and well-presented museum that is well worth the admission price. It’s not a museum in the traditional sense of the word: a place where items of interest are on display in glass cases and visitors wander around to see them at their own pace. 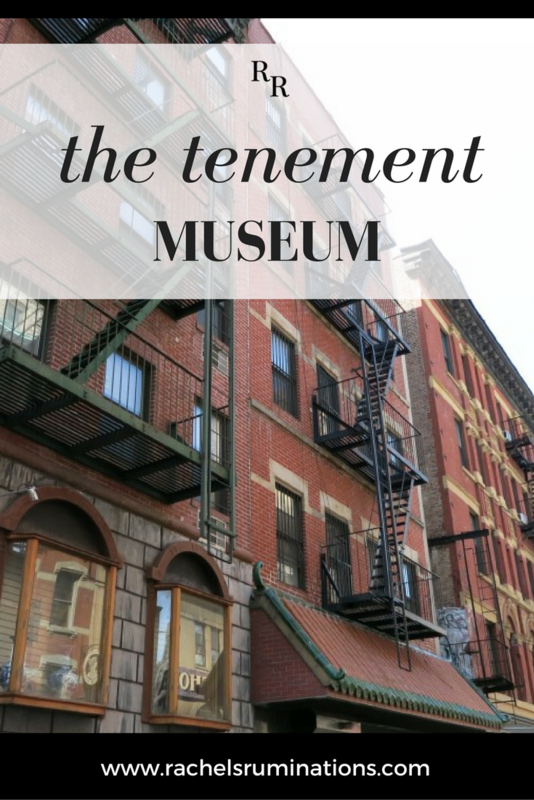 Instead, the Tenement Museum consists of a single tenement building, one which was boarded up and left untouched for decades, so that it became a window on what life in that building must have been like for the immigrants who lived there in the late 1800’s and early 1900’s. After years of research, including counting layers of wallpaper and linoleum, census searches, and so on, the apartments were furnished with period objects and set up as the apartments would have looked back them. The peeling wallpaper and cracked paint have been left as is, and the overall effect makes the lives of these immigrants visible and understandable. Visitors are not left to wander around and read informational signs posted next to relevant objects. Instead, a guide takes groups through the building – on our tour, about sweatshops, we saw only two of the apartments – telling the fascinating story of one particular real-life family who lived in that apartment at a particular moment in its history. All of the visitors in our group were Americans, all children of immigrants, and, although my ancestors were not part of this New York garment industry, the people who lived there were so much like my ancestors that I could easily picture them there. The objects in the rooms were objects my grandparents would have had – there was even a set of candlesticks for Shabbat candles that were almost exactly like one I have at home from my grandmother – and their hardships were hardships my grandparents would have faced as well. They didn’t speak the language; they needed a job, no matter how backbreaking it might be; they had to care for children in poor, unhygienic, overcrowded conditions; and they aspired to a better future for those children. Our guide was a young woman who could tell a good story, and she was very open to discussion. I was particularly fascinated by the question of assimilation: did the immigrants keep speaking their mother tongue, in hopes of keeping their traditions alive for their children, or did they switch to English only, change their names to something more pronounceable in English, and generally do everything they could to assimilate? Did they work on Saturdays – the Sabbath day for Jews – because they needed the job? Or did they start their own little sweatshop in their living room in order to make their own hours, so they could work on Sunday rather than Saturday? If you’re planning a trip to New York City, check out my article “New York City on a Budget: Free or cheap things to do“! And, of course, the tour made me think about my life as an immigrant in the Netherlands today. My immigration story is immeasurably easier than these immigrants on the Lower East Side, who had to cope with coal stoves and a water pump in the back yard (and carrying coal and water up several flights of stairs many times a day), as well as tiny accommodations shared with a sweatshop for perhaps 60 hours a week. Nevertheless, this question of assimilation is the same. How much do I assimilate and “go Dutch”? How much do I hang on to my American way of looking at the world? While I have adopted some Dutch cultural elements – I ride a bike more than drive, I put mayonnaise on my fries rather than ketchup – I’ve also hung on to some American ones. I celebrate Thanksgiving with my family every year, for example. Does it make any sense to celebrate Thanksgiving outside of the US? And in any case, putting mayo on my fries doesn’t make me Dutch. It’s the deeper cultural elements that change more slowly: the ways we look at the world, the assumptions we make about how the world should work. The polder model of decision-making, for example, is the idea that everyone in an organization can have a say in any decisions that are made. It makes for a very slow decision-making process, but also creates consensus. My American, top-down, assumptions about decision making can sometimes clash with this model. This kind of cultural element takes much longer to change than the more visible, surface ones involving clothing, food and so on. And the limits of assimilation are never fully defined, or rather it can take generations. My grandparents, raised in Eastern Europe, were Orthodox Jews. My parents rejected that orthodoxy and became Humanistic Jews, still part of a Jewish community but certainly more assimilated into the larger American culture. I don’t belong to any Jewish community; though I still think of myself as Jewish, Passover is the only holiday I consistently celebrate. My guess is that the same sort of assimilation has happened to the families of those immigrants we heard about on the tour. Is that a bad thing? To what extent should immigrants assimilate and to what extent should they keep their own culture alive? I don’t have an answer to this question, but I’d love to hear your thoughts on the matter! The Tenement Museum, 103 Orchard St., on the corner with Delancey St. The Visitors Center entrance is on Delancey. 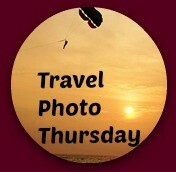 Can only be visited via a tour, which lasts 1-2 hours, depending on the topic of the tour. 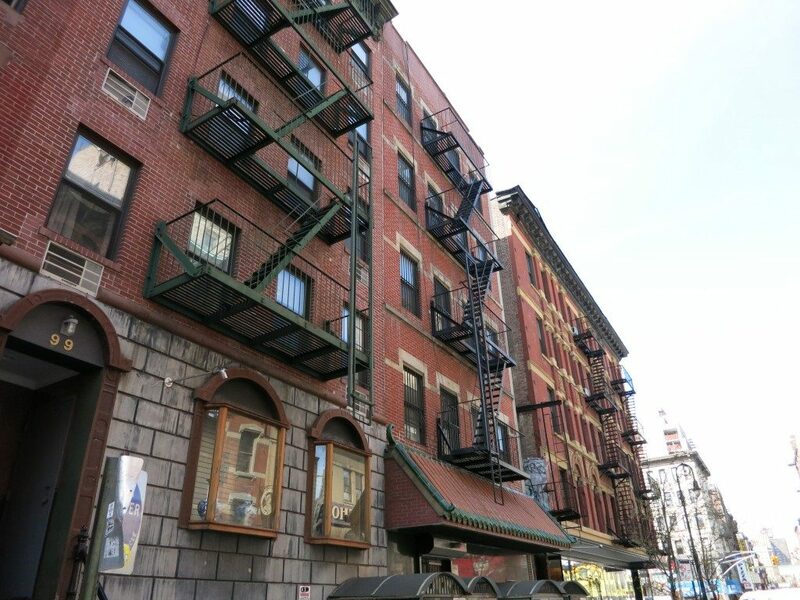 Tour dates and times vary and must be booked ahead of time on the Tenement Museum’s website. Tour price: $25. Hi Rachel: That is a very profound question. My grandparents also immigrated from Ukraine, but to Canada. My grandmother never learned to speak English as she spent her entire life on the farm in a very rural location on the Canadian Prairies. When I was growing up, one of my best friends was from Italy. Her mother never learned to speak English. Just a very few words to get by. But she lives in the bustling city of Winnipeg. I think that when you live in a large city and are part of a new culture, you should make a strong effort to learn the local language and respect the local customs. That especially holds true today, when we are getting waves of immigrants into our cities that come from cultures very different to our own. I certainly agree. I made learning Dutch my priority when I moved here, yet I still use English almost exclusively at home. Very interesting -both the Tenement Museum and your thoughts about immigration and assimilation. In my case, it was my non-Jewish great-grandparents who immigrated to Canada. Three generations later, I and my cousins are more Canadian than anything else. Assimilation has occurred and yet, in some ways, we are still shaped by the immigrant experience. We definitely hang on to some of it, don’t we? I see it with my kids too, who grew up in the Netherlands, but have certain American traits as well. Haha! Every group of immigrants to any country has to make decisions about how much to assimilate. And I think it often causes tensions between generations too. The same debate that happens now — the idea that immigrants are a threat and that they’re not assimilating enough — was what led to some very restrictive laws in the early 1920’s. Some things don’t change. I so enjoyed my own visit to the Tenement Museum in NYC. It is a must-see for visitors to the Lower East Side.